Premium 8-Piece Towel Set Just $21.23! Down From $60! You are here: Home / Great Deals / Amazon Deals / Premium 8-Piece Towel Set Just $21.23! Down From $60! This Premium 8-Piece Towel Set is now offered at Amazon for just $21.23 down from $59.99 PLUS FREE shipping with Amazon Prime or for orders $25 and above! 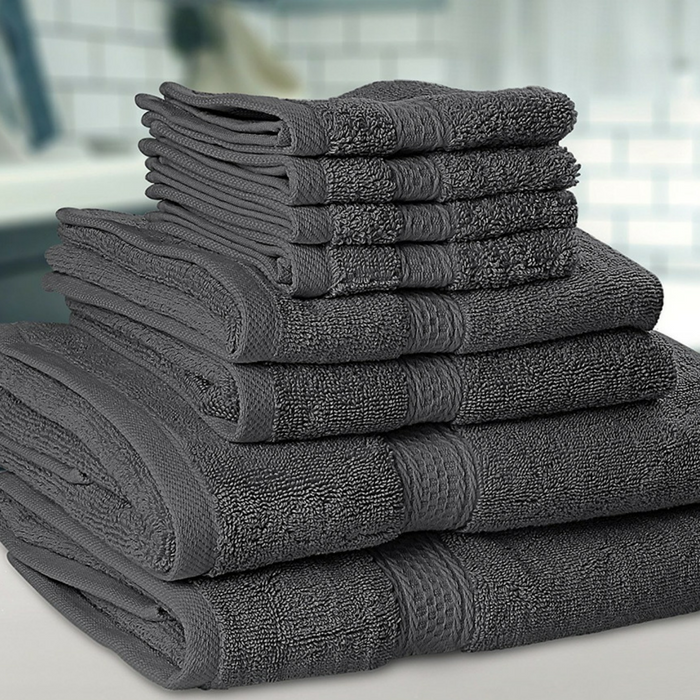 This 8-piece Premium Towels set by Utopia Towels provides a complete package of four washcloths, two bath towels, and two hand towels to meet all your needs. Turn to this set for a plush and fluffy feel when drying your hands and face. These towels and washcloths aim to keep you clean and dry you off while adding to the look of your bathroom simultaneously. How refreshing it feels to wrap yourself in a soft, absorbent, fluffy bath towel after a warm shower! Made of 100% cotton fabric, these towels possess breathable characteristics which make them perfect for your hands and body. It is hypoallergenic, agreeable to touch, and is ideal for people with skin hypersensibility.